Newspaper editors spend a lot of time deciding what goes on the front page. Which articles are the most important? Which ones to highlight top of fold? The same amount of effort is put into their home pages on the Web. But research shows that it’s mostly in vain. According to an article in the May, 2014 Atlantic Online, the New York Times—one of the premiere online news websites—lost 80 million visits to its home page between 2011 and 2013. It’s not that people stopped reading the Times online; they just stopped going to the home page to start their reading journey. In place of the home page, they entered the newspaper’s website through direct links to articles on the site. And how did they get to those pages? Through referring sites, such as Facebook and Twitter. In other words, once upon a time editors decided what articles were the most important news of the day. Today, readers make that decision. What editors think isn’t as important as what their friends think. 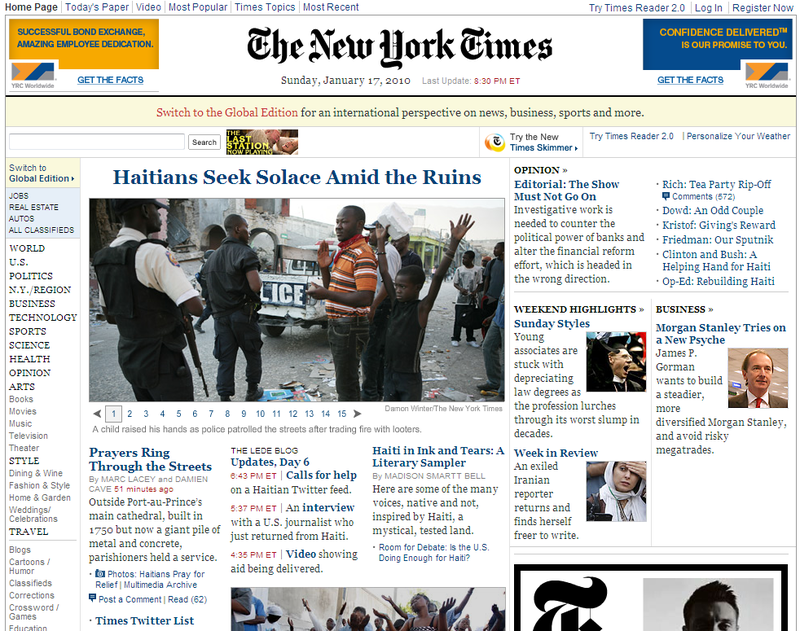 The New York Times responded by redesigning its home page to make it more appealing and useful to readers, to reflect what they wanted and were looking for. What does this mean for non-profit groups? We will never have the stature or reach of the New York Times. But, like the Times, our home pages aren’t the only entry point to our websites—they might not even be the most important entry point. So while our home pages need to look good and be easy to use, we don't need to agonize over them. In the end, it’s more about what’s on our websites that matters: The content. Making the News Canada is a blog about the media, media relations, marketing and communications from a non-profit perspective by John Longhurst. It is based on his over 30 years of experience in these areas, and on his book Making the News: An Essential Guide to Effective Media Relations (Novalis, out of print). John is available to do workshops and consulting; for more information, send an e-mail to jdl562000 AT yahoo.com.